To be tested only with "Every Tick"! 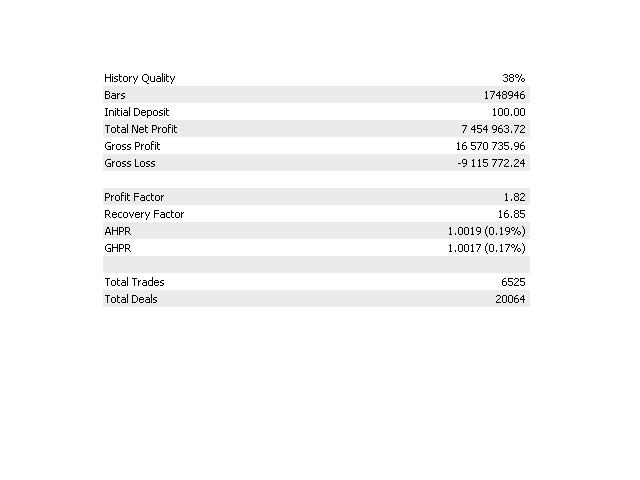 No aggressive trading, no martingale (LotExponent = 1.0)! It is enough to optimize SemiScalpelRegr once per month, for example. After that, SemiScalpelRegr shows excellent results on the forward period. You can see that on the screenshots. There are several parameters to optimize. You should optimize the indicator and the stop levels. Please use M1 timeframe. 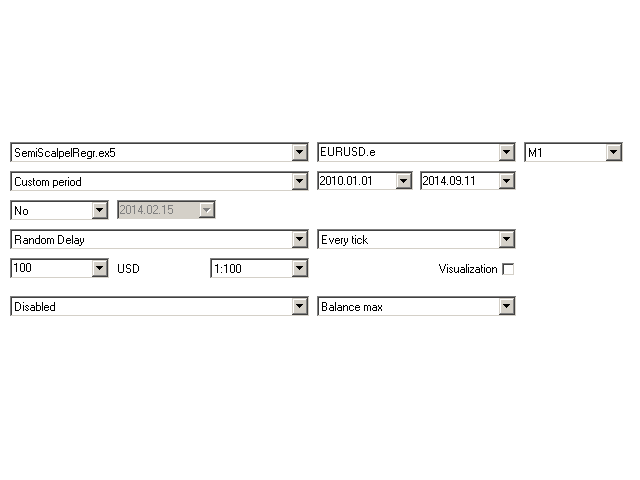 This Expert Advisor is intended for trading EURUSD, however it can run on other currency pairs with proper parameters. For EURUSD RSI can be used, however different indicators can be used for different currency pairs. It is important to perform cyclic check on the forward period. Better test with the broker who provide five-digit quotes, and even better on MetaQuotes-Demo server. The EA automatically determines the number of decimal places in quotes and gives good results on forward periods. The parameter selected according to the monthly optimization is perfect. However, it should pass not only forward but also six months and one year to the past. 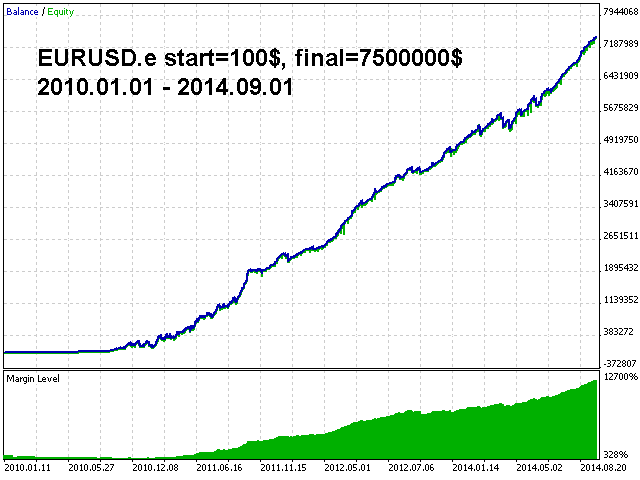 For example, for EURUSD and RSI, the passing ability comprises 3-4 years to the past at a monthly optimization!